Cruise around the lovely Maltese Islands and do a little exploring for a wonderful yacht charter vacation. Stretching for almost 200km Gozo, Malta and Comino have some amazing harbours as well as calm anchorages, depending on the prevailing winds. 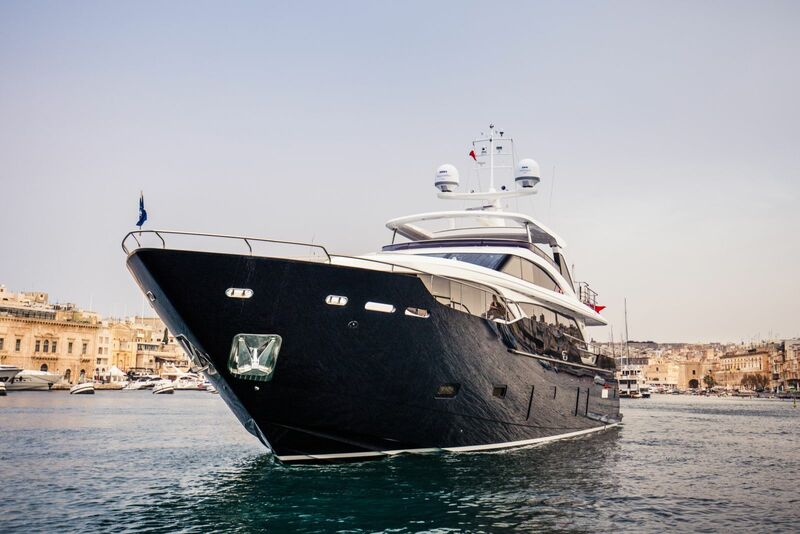 You’re also able to enjoy swimming and diving in the beautiful azure blue waters when chartering a superyacht to Malta. The first day could be used to explore the citadel of Valetta, Malta’s capital. It’s also a great opportunity to do some shopping in the pedestrianised old town. You can also take a horse and carriage ride to see what Malta and the surrounding countryside is really like. Mdina is the ancient capital and known as the Silent City, this is another fantastic place to visit. Take in the delightful views Malta has to offer and include a trip to St John’s Cathedral. This cathedral was built by the Knights Hospitaller and is definitely worth seeing. There are ancient treasures here such as stunning tapestries, ancient relics and a few Caravaggios. Malat’s Megalithic temples date back nearly 6,000 years and are older than the pyramids in Egypt. They are thought to be the oldest structures on earth so take a few photographs for the folks back home. Say goodbye to Valetta and head for Marsascala. This is a small bay in a gorgeous fishing village. As you sail along you will see impressive fortifications and castles of years gone by. Head for the shore to discover what the southern part of Malta has to offer. This location hasn’t really been touched by modern tourism so is very quiet and tranquil. Island Bay has lots of anchoring spots along with a natural rock arch. Start the day in Marsaxlokk, another lovely fishing village and have a seafood lunch. The bay here is home to a container port which includes petrol products so swimming is a no-no. There are the interesting remains of megalithic tombs on the hills above Marsaxlokk. If the weather is getting a little too hot, cool off at the Wied Iz-Zurrieq or the Blue Grotto. The caverns that make up the Blue Grotto are absolutely startling as they mirror the colours of the sea life and glow a deep blue. This is also an ideal place to do some kayaking. After lunch, swim off Golden Bay and either anchor here or in Gnejna depending on the weather conditions. Gnejna is a secluded bay with limestone and clay cliffs. It’s very popular with the locals for night fishing when their bobbing lights light up the bay. After a morning swim do a little island hopping to Comino. Paradise Bay has amazing clear waters over sand and is a perfect place to drop anchor. The Blue Lagoon close by also has crystal clear waters so why not stay for the night? When the many visitors have left for the day, it’s like your very own heaven on earth. The Island of Gozo is certainly worth a visit. Do a little exploring here while your charter yacht waits for you in Mgarr Harbour. With its pretty countryside, ancient churches, historic forts and megalithic monuments, step back in time. Victoria which is also known as Rabat is about the only real town here. There are small villages dotted about that are often deserted as many people have second homes here. Gozo is how Malta used to be before development took place, traditional, olde worlde and beautiful. Begin at Mgarr and circumnavigate Gozo. With only a couple of bays able to take tenders, have a dip in the sea or explore the rugged coastline. Head back to the Blue Lagoon, if weather conditions permit, before sailing back to Malta. Spending the night in one of the many bays on the north coast your next port of call is Mellieha. There’s a gorgeous sandy beach here for serious sunbathers to catch the rays. Selmun is a good anchorage site while St Paul’s Bay is more sheltered and said to be the place where St Paul was shipwrecked on his journey to Rome to face charges. The last leg of your vacation is to the ancient harbour in Valetta, then back to Malta. Why not do more shopping or try some of the local dishes? Based on Italian cooking, the main speciality of Malta is rabbit!